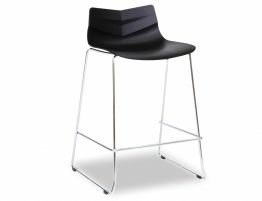 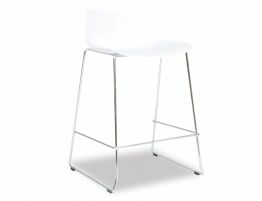 This state of the art modern Willow Kitchen Bar Stool is made of a combination of steel with a poly plastic black seat. 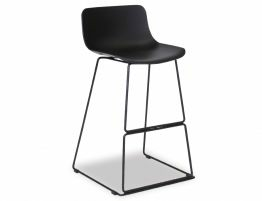 The black powdercoated frame work allows for the minimal design of Willow Kitchen Bar Stool to blend with any modern contemporary elegant interior and the vitality of the abiding seat composition makes this a lasting addition. 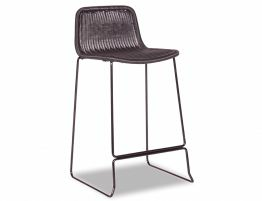 Durable and easy to maintain, The Willow Kitchen Bar Stool is an ideal choice for a smooth and uncomplicated look.